Evidence-based examination protocols and diagnosis-specific treatment plans for the lower cervical spine, as presented by the IAOM-US. The International Academy of Orthopedic Medicine-US firmly believes that relevant clinical diagnosis is the basis for orthopedic care. 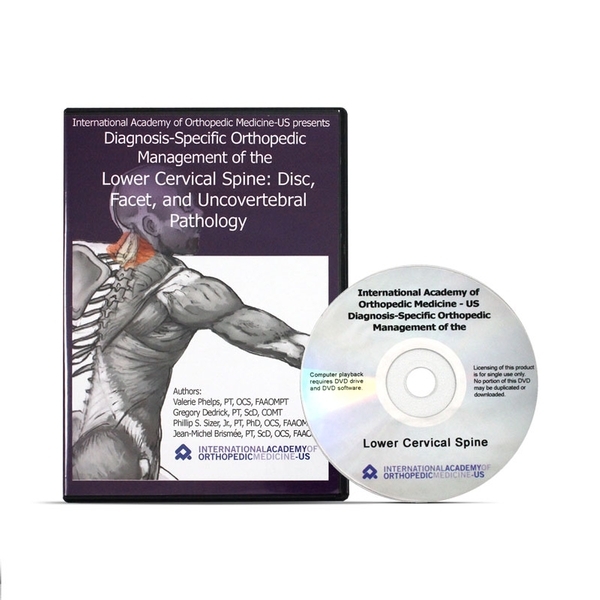 This DVD includes their system for examination, diagnosis and management of the lower cervical spine. Intuitively organized for self-study at home, in the clinic or at school. DVD runtime: 2:14:13.